Zurich does not have to be expensive. 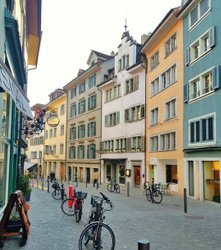 Here are some simple tricks and tips on what you can do in Zurich for little or no money. 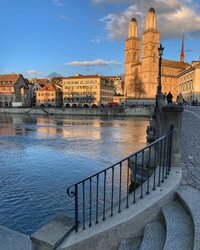 The first thing smart urban explorers do is buy themselves a Zürich Card: with this city pass, they can benefit from free travel on Zurich’s public transportation, free or reduced admission to many museums, and attractive discounts or surprises in specially selected stores and restaurants. Sporty visitors can rent a bicycle for next to nothing and explore the city from a completely different perspective. Delighting in wonderful views, relaxing by the lake, swimming in the river, and drinking potable water from over 1,200 fountains – these are also completely free of charge. The following tips show you where you can find cheap accommodation and restaurants. With the Zürich Card, you can travel in the city for free – and enjoy free admission, discounts, and surprises in museums, stores, and restaurants. You never need to go thirsty in Zurich. Fresh drinking water flows out of over 1,200 fountains. So simply buy a drinking bottle and keep filling it up. Tourists and commuters can easily hire e-bikes or normal city bikes at various rental stations in the city. Buy some bread and cheese in the supermarket, then sit down and enjoy your picnic in the nearest public park. These Zurich museums are always free for visitors, for others you need to show your Zürich Card (see above). The riverside bathing facilities, Oberer Letten, Unterer Letten and Schanzengraben, and the lido on the Werd island, do not charge admission. Art in public places is free and accessible for everyone. 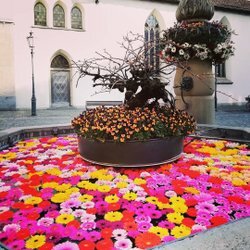 This list shows just a few of the over 1,300 public works of art on display in Zurich. These architectural highlights by both national and international star architects will thrill visitors who love beautiful buildings. A hike at lofty heights or a visit to a roof terrace combined with a coffee or other beverage treats you to stunning views over Zurich.